Adisak Wongsukchan, father of rescued Wild Boars soccer player Akarat Wongsukchan. 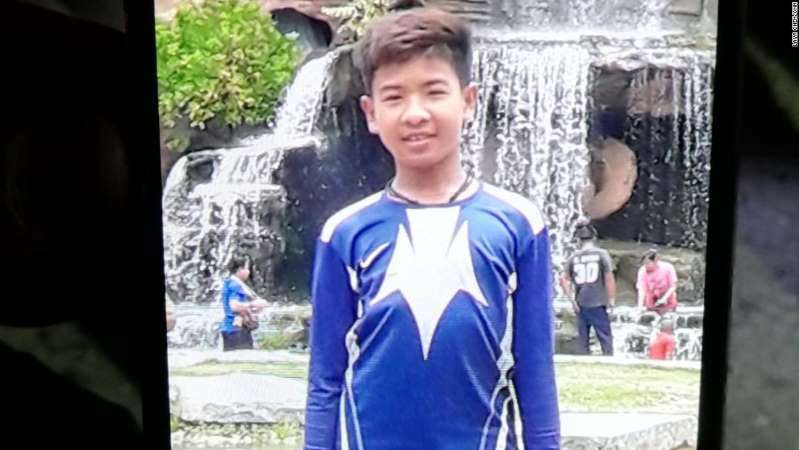 Inside, his 14-year-old son, Akarat Wongsuchan, was trapped with his 11 team mates and soccer coach. [post_ads]As each excruciating day passed, he worried about how Akarat could survive, how he would cope in the dark, what he would eat and drink. 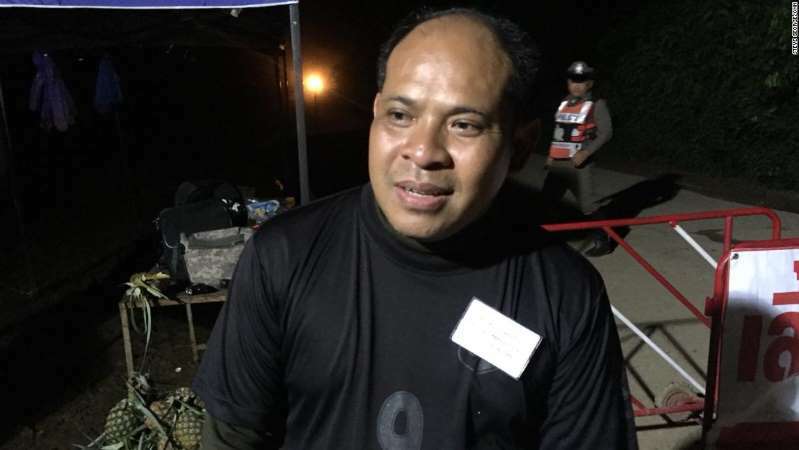 Speaking exclusively to CNN from the cave complex, Wongsukchan said he was "so happy and appreciative" of the international rescue effort that helped to free his son and the Wild Boars soccer team. 14-year-old Akarat Wongsukchan was freed from the cave on Monday, his father said. Now, Wonsukchan's main focus is to hug his son who, along with the rest of his team and coach, is recovering at the hospital in Chiang Rai. "I promised the other parents, the five, I will wait and come out together. I'm not going to leave them. We're going to go together," Wongsukchan said. The last of the group to emerge from the cave were four Navy SEALs, including a doctor who stayed with the team for a week after their discovery. Medics are due to give an update on everyone's condition at a media briefing on Wednesday morning.